In the years since the March on Washington, these words have continued to inspire not only those who work to fulfill Dr. King’s dream here in the United States, but also the thousands of human rights defenders and activists around the world who struggle daily to make their vision of a free and inclusive society a reality. Many of these activists live under brutal, repressive regimes and often face violence, torture, prison, or worse for simply speaking out – and yet they continue the fight not with violence, but with activities based on Dr. King’s legacy of nonviolent conflict. I have a dream that one day I won't have to choose between my job and expressing my faith. I have a dream that one day all Muslim women can wear the hijab without fear of facing discrimination of any sort. I have a dream that one day Islamophobia will cease to exist. I have a dream that people will understand that the hijab is not a symbol of oppression and that many Muslim women choose to wear the hijab out of their own free will. 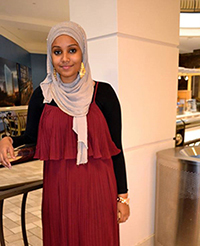 Riham Osman faced religious discrimination in the United States after she was hired to work as a passenger service agent for Air France and was fired on her first day of work after refusing to remove her hijab, a headscarf worn in public by many Muslim women. As I read his words I feel that he is reaching out to us from another land and another time to teach very important lessons. He teaches us, for example, that we must not become bitter, that we must be willing to sacrifice for freedom, and that we can never sink to the level of our oppressors. .. As I read Dr. King’s words recently, I found myself wishing he was alive. I found myself wondering what he would have to say about U.S. support of Bahraini dictators….Martin Luther King has been a companion, a cellmate more than a teacher. 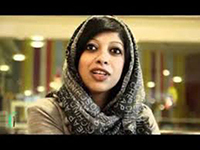 Zainab Al Khawaja is in prison in Bahrain for peacefully protesting against the repressive regime. She often cites Dr. King in her writings in and out of jail. She wrote this piece in March. I have a dream that South Africa will be a place that proudly respects the human rights of all and in particular sets minimum standards in equal protection for refugees, asylum seekers and migrants. This means that people from other parts of the African continent will no longer be deliberately targeted for xenophobic violence and that government officials, including police and justice officials, will send a clear and consistent message that xenophobic violence and other types of hate crimes will not be tolerated. It means that asylum seekers will not be denied the opportunity to apply for asylum, will have their claims for asylum determined by a fair and efficient system, and will be able to access their rights on an equal basis to South African citizens. And it means that people will not be unnecessarily subjected to immigration detention and risk being deported back to places where they face risks of persecution – especially in cases where they have the legal right to be protected by the South African state. 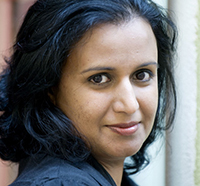 Kaajal Ramjathan-Keogh is the director of the Refugee and Migrant Rights Program at Lawyers for Human Rights in South Africa. I have a dream that one day South Africa will realize its vision of truly becoming a home for all, without particular individuals living in fear of being targeted for violence because of who they are. This means that leaders will consistently send the message that hate crime violence targeting people because of characteristics such as their sexual orientation, gender identity, race or nationality will not be tolerated; that police and courts will regularly hold perpetrators of hate crime violence accountable and that victims of hate crimes will be provided with the necessary support to overcome their trauma. While South Africa has taken some positive steps in this direction by drafting hate crime legislation and developing strategies to address violence against LGBTI people, we still have a long way to go to make the vision of a home for all a reality. 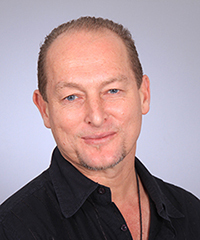 Juan Nel is a Professor of Psychology at the University of South Africa and a founding member of the Hate Crimes Working Group, South Africa. It is a difficult time to dream though during times like these dreaming is the only thing that could keep you sane. When Mr. King had a dream, it was also during troubling times. Nevertheless, he dared to dream. But I am not Dr. King. Well I will try. To begin with I don't want anymore deaths. I don't want anymore mothers with broken hearts. Secondly, I wish we don't lose our humanity. It seems that this is exactly what is happening, getting used to pictures of blood. Those who lost their lives become only numbers. I wish we could have a memorial, some place to go to when we want to show respect to all of those who died since 25th of January. I dream that we as a nation get the chance to mourn, reflect, realize our loses and be able to move on. I know this is not very colorful but this as far as I can dream at the moment. 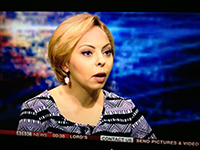 Dina Wahba works for Women Living Under Muslim Laws in Cairo. I have a dream that love will become our fundamental value of our lives. That this world will become a place where everyone is free from fear, discrimination, hate, and oppression for who they are, for who they love. I would dream that I could celebrate our diversity not hide or even deny it. We should spread love not oppress it! 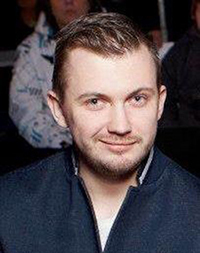 Kaspars Zalitis is one of Latvia’s most prominent LGBT activists and a board member of LGBT NGO Moazaika.